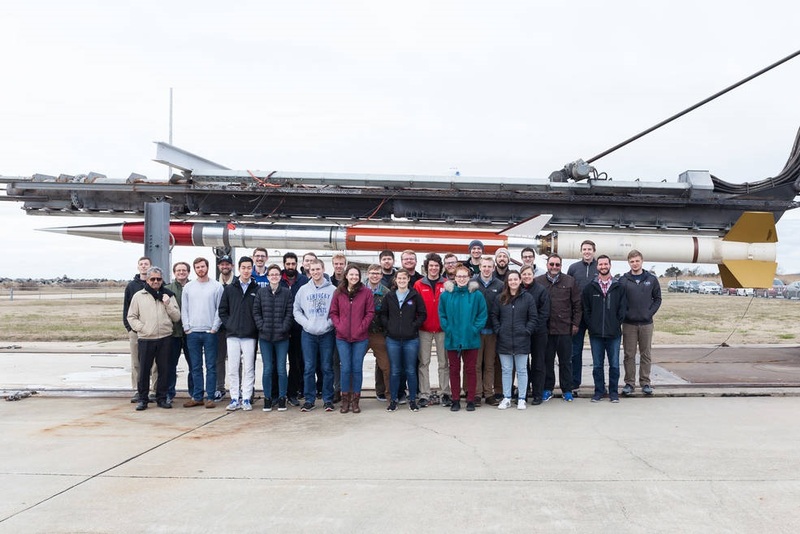 Wallops Island, Va. – Four university student projects were successfully launched at 6:51:30 a.m. EDT, March 25, 2018, on a NASA suborbital sounding rocket from the agency’s Wallops Flight Facility in Virginia. The two-stage Terrier-Improved Malemute sounding rocket carried the projects to an altitude of 107 miles. The projects then descended by parachute, landing in the Atlantic Ocean. The projects were recovered and will be returned to the students for analysis. 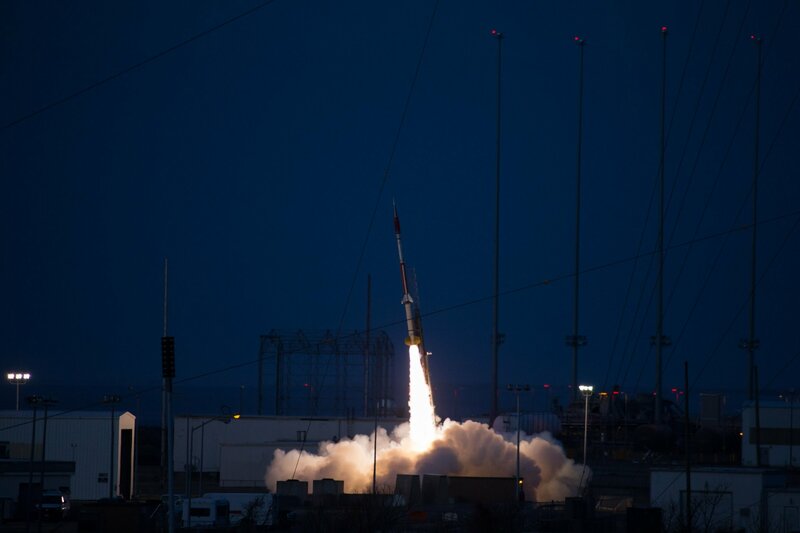 The undergraduate student teams’ projects from Utah State University, Logan; the University of Nebraska – Lincoln; the University of Kentucky, Lexington; and the Florida Institute of Technology, Melbourne, were launched through the NASA Undergraduate Student Instrument Project or USIP. “USIP gave students the opportunity to experience working in a research and development environment and learn about different aspects of taking an engineering project from conceptual design through fabrication and testing. Students gained skills in project management, design analysis and selection, fabrication, and assembly. The Nebraska USIP team also honed its interpersonal and writing skills through design reviews, monthly status reports, and required grant reporting,” said Amy Price, a senior mechanical engineering student and team lead. “USIP has been a fantastic experience for the more than 46 University of Kentucky students who have been able to work on the project. The KRUPS Operational Re-entry Experimental Vehicle for Extensive Testing has been a great opportunity for participating in the NASA systems engineering process and for obtaining hands-on experience designing, building, integrating and testing the capsule’s ejection mechanism and communication systems. A highlight so far was presenting the project to the NASA Deputy Administrator at the Spring 2018 Space Grant Conference,” said Gabriel Myers, a senior mechanical engineering and physics major. Wallops managers serve as USIP technical advisors for these four cooperative agreements on behalf agency’s Office of Education and the Science Mission Directorate. In 2016 NASA selected an additional 43 university experiments to fly on orbital and suborbital vehicles including rockets, aircraft, balloons and CubeSats through a cooperative agreement competition for members of NASA’s 52 Space Grant Consortia and other eligible higher education institutions.